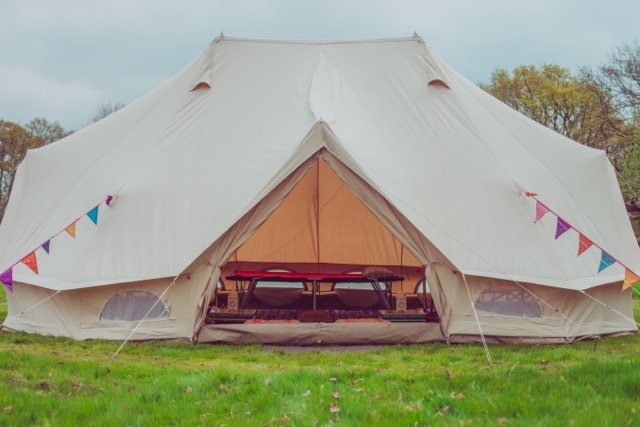 As the name suggests these tents are palatial, with room for all the family or large groups. This tent is especially versatile, and can be used an adults/kids chill out space, reception area and beauty room, the possibilities are endless! The Emperor has a zipped in ground sheet with the ability to unzip and roll up the sides, perfect for sunny days when you can create a breeze that flows straight through. There are two doors one in the front and one extra handy one on the side. 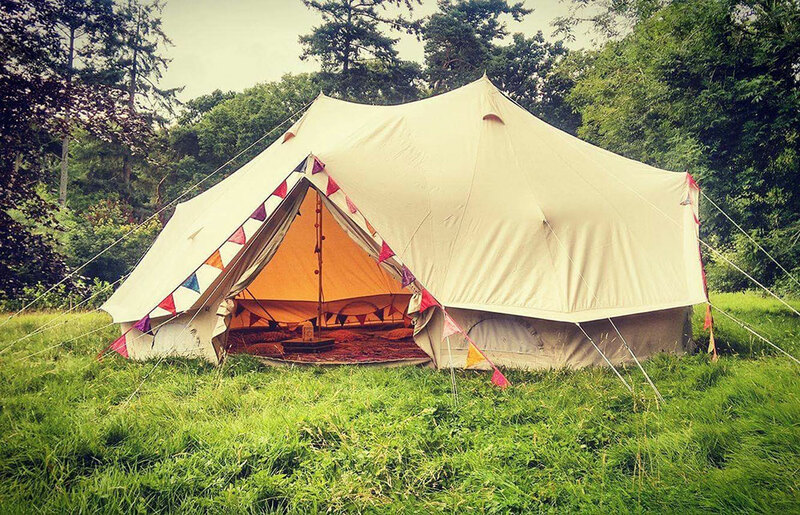 Our tents are made with 100% natural breathable cotton canvas, this creates a lovely atmosphere within the bell tent that must be seen to be appreciated. You’ll also find 6 semi circle zipped windows (with meshed mosquito nets) and air vents at the top to allow a gentle breeze. The Emperor makes the perfect upgrade to our Honeymoon Suite, with much more space and comfort! This 6m x 4m tent is perfect for larger families and sleeps groups of up to 10 people. Take a look at our Emperor in action! 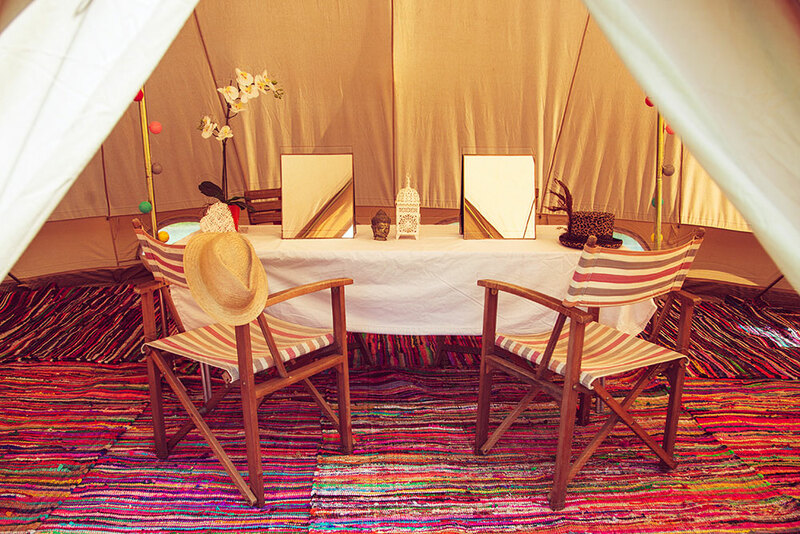 Reception area: A booking in and reception area with onsite Loveabell staff to show your guests to their tents. 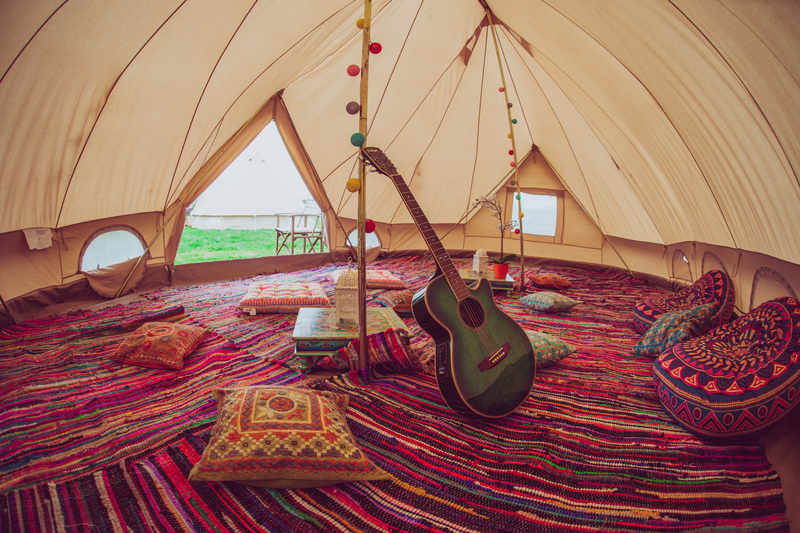 The space includes colourful fair trade rugs, low bajot handprinted tables, floor cushions and fairy lights. Contact us for a bespoke quote. Additions: Loveabell also hires deckchairs, awnings, Indian Bajot tables, bedding and much more to compliment your event.